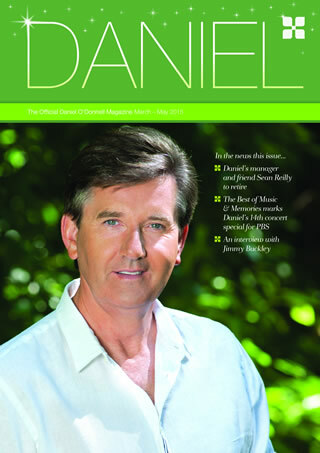 As a Member you will receive four copies of the exclusive 'Daniel' magazine per year. The magazine is full of all the latest news from Daniel, special features, new releases and his tour dates. Unfortunately we can not accept Australian Dollars due to the exchange rates. Australian Fans can send a Sterling Bankers Draft or payment by credit card is accepted, the payment is taken in Sterling but will show as Aus Dollars on your statement. Euro Cheques and CASH are also NOT accepted. If you lose any item ie. Membership Card,etc. you can get a replacement, however you will have to pay a replacement fee. NOTE: When renewing you do not receive a new Membership Card, etc. so please take care of them.